Work was done last summer at Mount Rose Ski Tahoe to give the mountain something no other ski resort on the continent has in place. On Tuesday, Dec. 26, the resort celebrated the culmination of that effort, just in time for the holiday break, with the grand opening of North America’s first dual conveyor surface lift in an enclosed gallery — Magic. The enclosed tubular structure is made of a steel frame, steel roof, wood sides, a polycarbonate canopy and stretches 486 feet up the resort’s Show-Off learning area near the Main Lodge. 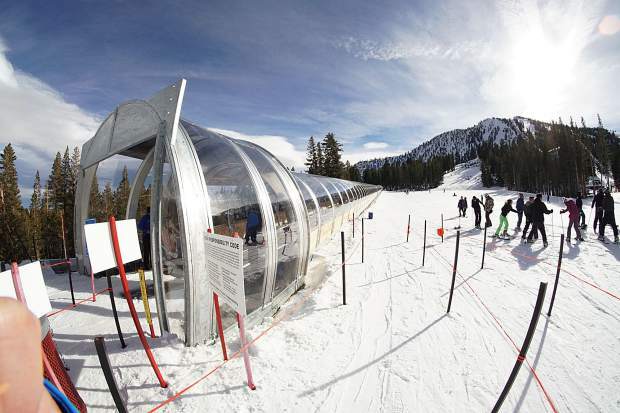 The lift replaces the Flying Jenny surface lift, and provides an ideal environment, protected from the elements, for those just starting out on skis or a snowboard, while also doubling the uphill capacity at the learning area. Beginning skiers and snowboarders ride into the enclosure and step onto one of two conveyor belts for a ride to the top of the learning area. The canopy also helps minimize maintenance for the resort staff, while protecting guests from any wind or snow that may be present. 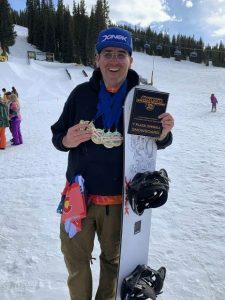 The new lift is part of $2 million in upgrades the resort spent over the summer, according to a statement from Mount Rose, which also included expanded snowmaking and snow grooming capabilities, and facility upgrades at the Winters Creek Lodge base area. 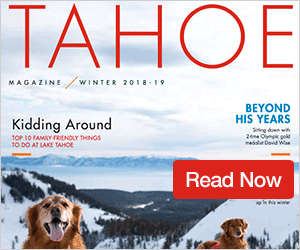 Mount Rose Ski Tahoe is nearly open in it’s entirety, according to Assistant Marketing Director Julie Stanley, giving the resort 1,440 vertical feet of beginner, intermediate and advanced terrain, with only the resort’s famed Chutes still needing more snow before opening to the public. Mount Rose has received a reported 56 – 72 inches of snow for the 2017-18 ski season. Mount Rose will also be celebrating New Year’s Eve, beginning at 4:30 p.m. with the Cat Parade and Falcons Torchlight Parade down Ponderosa, followed by a fireworks show outside the Main Lodge at 5:45 p.m. The resort is open daily from 9 a.m. to 4 p.m. For more information visit SkiRose.com.